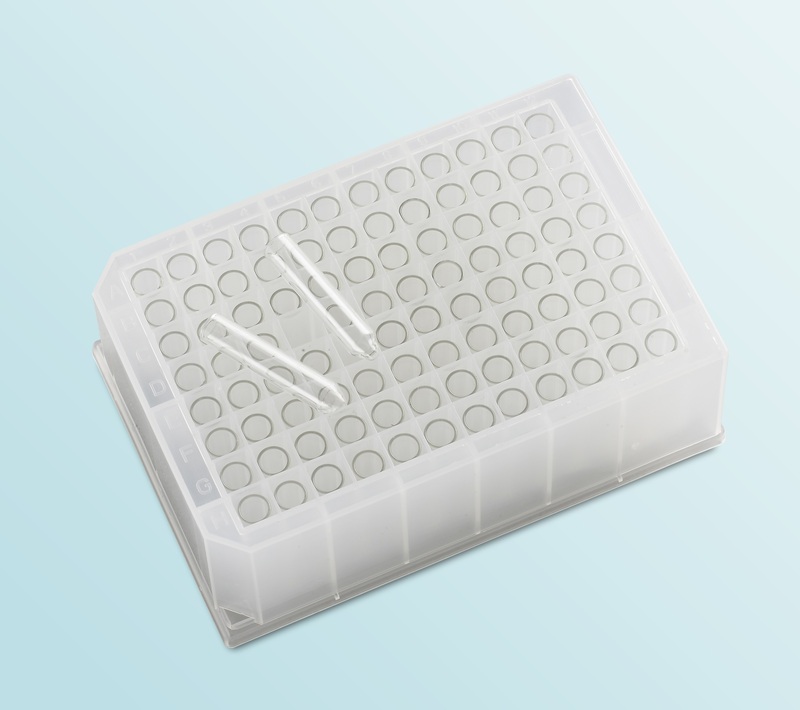 Porvair Sciences' glass vial storage plate combines 96 borosilicate glass vials of 700µl into a rigid polypropylene carrier microplate to provide a superior product for storage and transportation applications. This extremely hard wearing plate provides a zero-leachates solution for UHPLC and also for storage scenarios such as combinatorial chemistry where broad chemical resistance and thermal stability is vital. Porvair glass vial storage plates are less costly than solid glass plates and are precisely manufactured to comply with ANSI/SLAS dimensions to ensure complete compatibility with automated equipment. To prevent evaporation or contamination and provide a complete storage solution, Porvair glass vial storage plates may be capped with a matching square-well cap mat.